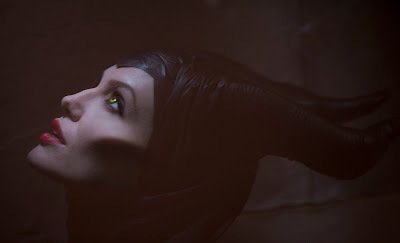 Directed by two-time Oscar®-winning production designer Robert Stromberg (“Avatar,” “Alice in Wonderland”), in his directorial debut, and produced by Joe Roth, “Maleficent” is written by Linda Woolverton (“The Lion King,” “Beauty and the Beast”) and executive produced by Angelina Jolie, Don Hahn, Matt Smith and Palak Patel. Co-starring in the film are Sharlto Copley (“District 9”), Elle Fanning (“Super 8”), Sam Riley (“On the Road”), Imelda Staunton (“Vera Drake”), Miranda Richardson (“The Hours”), Juno Temple (“Atonement”) and Lesley Manville (“Secrets & Lies”). This is the untold story of Disney’s most beloved villain, Maleficent, from the 1959 classic “Sleeping Beauty.” The film reveals the events that hardened her heart and drove her to curse the baby, Aurora. Behind-the-scenes talent includes Academy Award®–winning cinematographer Dean Semler (“Dances with Wolves,” “In the Land of Blood and Honey”), production designer Gary Freeman (“Saving Private Ryan,” “The Bourne Supremacy”), two-time Oscar® nominated costume designer Anna B. Sheppard (“Schindler’s List,” “The Pianist”) and seven-time Academy Award–winning makeup artist Rick Baker (“Planet of the Apes,” “Men in Black”).